Its intentions are pure, but Benji's Very Own Christmas Story (1978) is one of the least essential holiday specials of its era. The main culprit is a 25-minute running time: our story is too slight to leave any kind of lasting impression, as it plays out like several scenes from a longer production that was left unfinished. 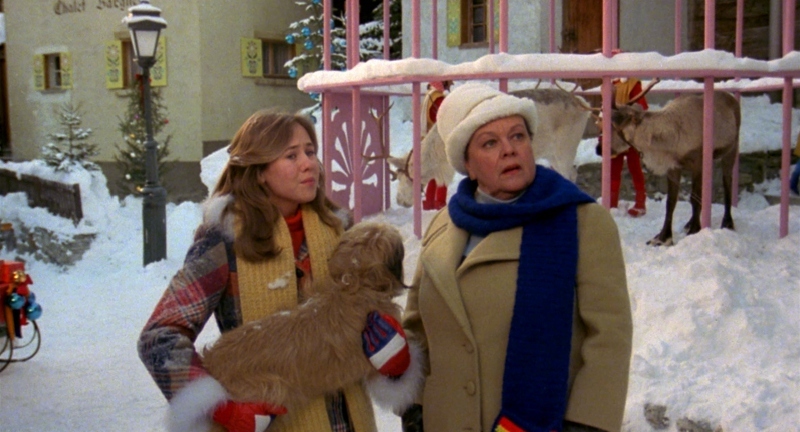 Here's how the story goes: Mary and Cindy (Patsy Garrett and Cynthia Smith) are guests of honor in Switzerland, where their lovable pup Benji will be featured as grand marshal of the upcoming holiday parade. During their brief stay, they meet up with Kris Kringle (Ron Moody), who's nursing a broken leg and just might have his trusty elves fill in this year. With Mary, Cindy, and Benji's help, Kris gets a new lease on life and teaches the trio about different versions of Santa Claus all over the world. This is relatively plain-wrap stuff here but, on paper, sounds substantial enough to carry a 25-minute special. It does, of course, but with more than a few drawbacks: the first and most obvious is an almost complete lack of Benji, as the lovable pup is basically carried around and barely participates (perhaps he just wasn't feeling well?). This doesn't do the story any favors: Benji is, after all, regarded as a guest of honor and given celebrity status, but all we see is an plain old pooch who doesn't look all that interested. The other main problem is the story's structure, which starts and ends much too quickly: this gives it that "unfinished" quality hinted at earlier, which robs the production of any remaining weight. 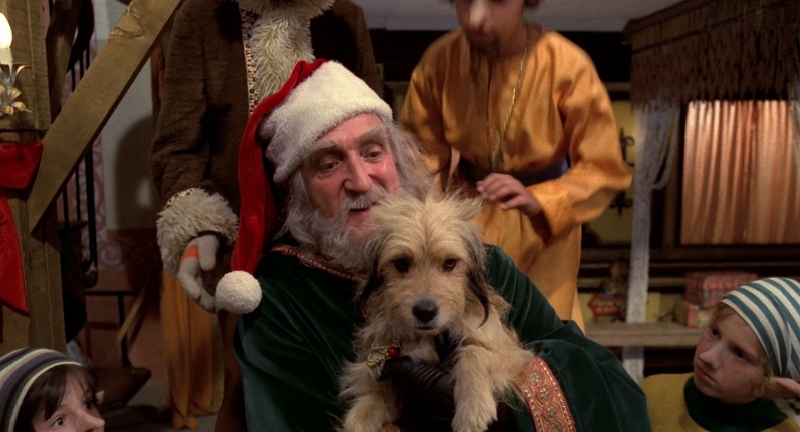 The human participants do well enough, I suppose (Ron Moody certainly does what he can with the material)...but as a whole, Benji's Very Own Christmas Story is lackluster family entertainment for all but the most forgiving fans. In a nice moment of serendipity, it turns out that Benji's Very Own Christmas Story first aired exactly 40 years ago today. Those who first caught this special on ABC or subsequent reruns likely have a bit of nostalgia attached...but without that handicap, there's not much weight to this one; I'm surprised it was even nominated for an Outstanding Children's Program Emmy that year. (It rightfully lost to Christmas Eve on Sesame Street, a perennial favorite around these parts.) Still, I'd imagine that Benji's Very Own Christmas Story has its fans and they'll enjoy Mill Creek's new Blu-ray combo pack: it features an excellent A/V presentation and well-meaning extras that add value to an otherwise thin release. Presented in its original 1.85:1 aspect ratio, Benji's Very Own Christmas Story is advertised as boasting a newly-restored 1080p transfer and looks outstanding from start to finish. The original filmed elements were obviously treated with care: this is a very clean picture with bright colors and excellent image detail, with outdoor scenes looking especially impressive. Textures are noticeable and the film's warm, inviting palette suits this material perfectly. This is almost certainly a single-layered disc, but the picture doesn't suffer at all: it's short enough that the bit rate usually hovers right around the 30 Mbps mark, and there were still probably tons of room left over (more than enough to fit the bonus features, but I digress). Overall, it's a surprisingly great effort from a studio not typically known for sterling A/V presentations. Trailing behind -- but not by much -- is the DTS-HD 2.0 Master audio mix, which is predictably basic but nonetheless gets the job done. Dialogue, background effects and music all sound crisp and clear with no obvious defects. Optional English subtitles have also been included on both discs, as well as a Dolby Digital 2.0 option on the DVD. Not much to the interfaces on either disc: both are encoded pretty much the same way (non-seamless menus, no pop-up options), but at least they aren't bogged down by slow loading time and endless trailers. This two-disc release (one Blu-ray, one DVD) arrives in a dual-hubbed blue keepcase with a Digital Copy sheet and festive front artwork. Two mid-length Featurettes and other items are included on the DVD only. "Benji at Work" and "The Phenomenon of Benji" (27 minutes apiece), both produced after the main feature, offer light but entertaining insight about the pup's legacy with appearances by Joe Camp, child actor Adam Rich, Benji's trainer Frank Inn, and even a few celebrity guests including Chevy Chase, Jane Seymour, and Omar Sharif. Also included is the brief clip show "Benji Movie Memories" (2 minutes), a short Photo Gallery from the Christmas special, and Trailers for other Benji titles released by Mill Creek. 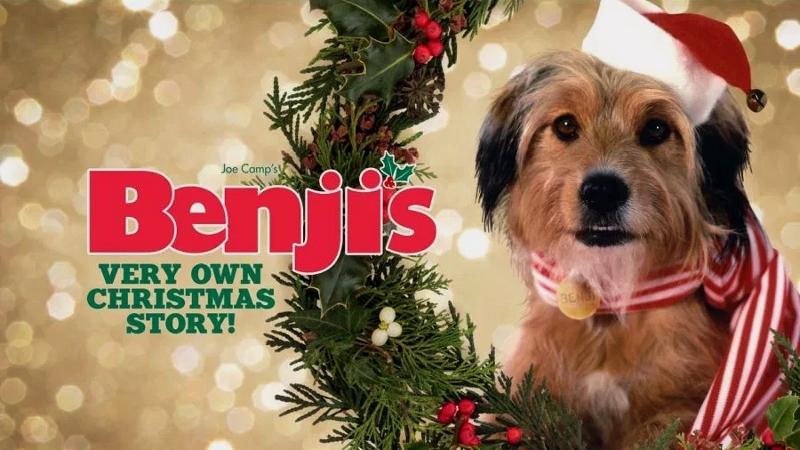 Benji's Very Own Christmas Story is too scant to leave a lasting impression: though not without a few good moments, the story has very little weight and Benji himself doesn't seem all that invested in it. Not sure what they hoped to accomplish here, but even rabid Benji fans (har har) will probably admit that this isn't one of his better outings. More than anything else, it feels like a few scenes from a longer special that was left unfinished. Luckily, Mill Creek's new Blu-ray combo pack makes the most of a (last joke) ruff situation, serving up an outstanding A/V presentation and even a few well-meaning bonus features. But even at such a low price point, this one will only appeal to die-hard fans. Rent It.